Home › ISLAM › Revival Thought (Al Nahda) › Which Group, Movement, Party or Tariqa offer everything Muslims need? Which Group, Movement, Party or Tariqa offer everything Muslims need? Many Muslims strongly argue amongst themselves as to which group, movement, political party or Tareeqa they should join (For the sake of brevity, let us refer to any one of these as simply a ‘group’ even if they do not actually constitute a ‘group’). Those who wish to attack the group of others usually make a common argument that ‘your group may do X, but there are some things it doesn’t do, which are also important for Muslims – and for this reason we shouldn’t join your group’. There is an evident problem with that line of reasoning, which should be glaringly obvious to all – no group actually does everything. But the even more obvious observation is – why should they? Every society, community or collective needs to have specialised institutions and groups who are able to focus on one thing, and achieve further in it, than if no one had a specialisation. This is simply because, humans can’t do everything, and to excel, SOME people must be dedicated to specialisation in order to help those who aren’t specialised. There is an English saying ‘Jack of all trades, but master of none’, which means that if someone were able to involve themselves in a all subjects/trades and professions, he/she would never be able to have the time or dedication to master any one of them. Sounds obvious, but it isn’t to many. The problem is not that groups exist which specialise, but that Muslims believe that each group must be fully self-contained and possess 100% of what Muslims should do throughout their lives. The point is, it is not a problem to be part of any group – the problem lies in being exclusive and myopic. Indeed, this had led to many Muslims defining an entire methodology for living their life and reviving the Muslim world based exclusively around only one of these specialisations – even when unwise, inappropriate or absurd. This has led to Muslims clashing and preventing each other from doing good works. For example, some individuals who may work to get more Muslims to pray, will prevent Muslims working with groups that campaign for establishing the goals mandated by Islam’s political requirements. Some individuals who focuse on tasawuf will prevent Muslims from studying and learning Islamic Economics, and some military-enthusiasts will deem tasawwuf or politics a waste of time – the list goes on – and all these specialisations have adherents who are guilty of this. The truth is, all these matters are important and have their place – and their place is within a society where all of these things are studied and implemented and allowed to complement each other. What this means, is that Muslims should be balanced and be educated to a good degree in all these things. They shouldn’t wait until they perfect one thing before moving to the next – do school children only get taught one subject before they learn about another? (e.g. Master maths upto advanced level before they study about reading and writing?) No. So why should we? 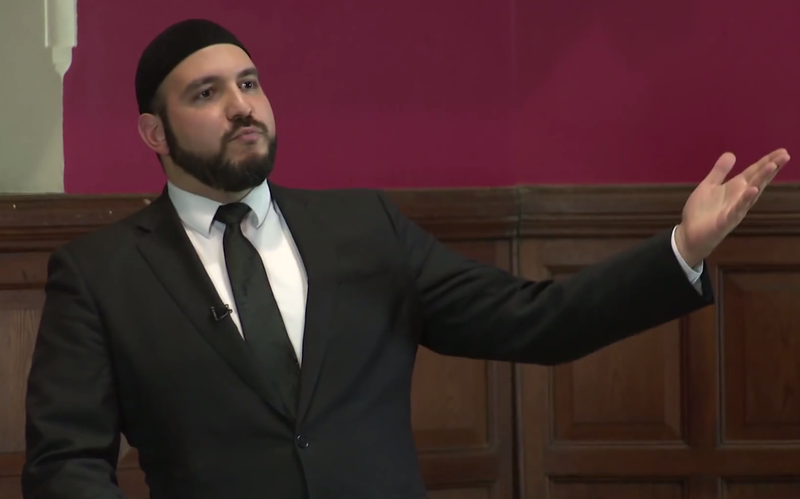 Muslims are in a state of ignorance because we have compartmentalised Islam into chunks, which we refuse to connect together. Each trade should have those who are dedicated to it to excel in it and take the trade forward, but that doesn’t mean that ALL Muslims shouldn’t have a good level of knowledge about it. The average Muslim should be a ‘jack of all trades’, who works to ensure the obligations are fulfilled in all trades, since they are all vital to the success of the Muslim Ummah. For example, if the only people in a society who knew anything about health were doctors, then the society would have many people get sick from not washing their hands before eating, ensuring food is cooked properly, eating correctly etc. It’s because most people know something about how viruses work, and how bacteria works, that they understand a little bit about how to protect themselves from infection – and therefore reduce the number of patients the doctors have to treat (with their limited resources). Secondly, having a public educated about health, allows them to identify doctors who may be bad at their jobs. If a doctor is about to examine you without gloves or a facemask – or who gives you medicine without asking you any detailed questions about your condition, without education in something of health, you’d might be fooled into thinking they were acting professionally – despite the fact that they weren’t. Likewise, if the Muslim Ummah are not educated into some basic level of understanding how Jurisprudence works, they will never be able to detect when some ‘scholars’ are contradicting Islam, or producing anti-Islamic fatawa (e.g. Modernists – both post-colonial ones – usually employed by Secular post-colonial Muslim governments, or Secular Liberals). This is why seeking knowledge is an obligation upon ALL Muslims, even if there were sufficient amounts of knowledgeable people amongst them. The aim of every Muslim is to reach ihsan – perfection in all things – which forms an ideal which should motivate every Muslim to excel in all things. One problem today is that Muslims have secularised their minds, they divide knowledge into what relates to Islam as purely ‘worship’ and that which relates to ‘this world’ (Dunya). This is false. As the Hadiths and Quran attest, ALL aspects of human existence and life is a worship of Allah (swt), and must be pursued to its perfection. This is an understanding that the Muslim world has lost. It is no coincidence that the Islamic thinkers of the classical times were accomplished jurists, scientists, literary writers – and at night, dedicated in dhikr (remembrance of God) and Tasawwuf. Indeed, throughout history many famous practitioners of Tasawwuf were expert fighters and military geniuses, like Imam Shamil (1871) and Abdal Qadir (1883)! Not something that you’d see today – and the point of this article is to show why this is no longer the case. Islam actively creates a dynamic society that can adapt and evolve to deal with any problem. If an issue arises where one trade/profession or specialisation is deficient in success in any matter, then more numbers should take up its work, or improve its strategy/method, or increase the number/quality of Masters in it, until it becomes successful – this is the meaning behind the Islamic concept of ‘fard kifayah’ (a collective obligation of sufficiency). So if there is a potential for a plague to arise which overcomes the current medical capabilities of an Islamic society, then more resources and people are drafted into the medical research and the health sector until the problem is dealt with – likewise, if an enemy threat arises against an Islamic State, and the army of an Islamic state are inferior in numbers or equipment – then more resources and manpower are drafted in to bolster numbers, develop new equipment, and possibly train better generals to be able to fight against superior numbers of enemy armies (Salahudeen originally wanted to become a Scholar – but put it aside to deal with the more pressing Crusader problem). The list goes on. Currently the Ummah faces many problems, one of the most glaringly problematic is the absence of an Islamic Society – which is because of the absence of an Islamic State (which creates, nurtures and protects a society). This problem will not be solved by isolating ourselves into chunks – but rather only by a united and holistic response from all groups and echelons of Muslims within the Muslim world. Who is the best group for Muslims to Join that does all these things? The best group for Muslims to join that literally does ALL these things and more, is the one in which its members resemble this: By day, he/she works in a profession, and excels in it – with ethical conduct and strong professionalism – whether doctor, engineer, inventor, entrepreneur, jurist, builder or farmer. After/in between work, they engage in ensuring the political matters of Islam are established, maintained and advanced (i.e. this is commanding the Good, and forbidding the munkar) – writing letters accounting their leaders (local or national) giving out leaflets, writing articles, attending demonstrations for good causes or just merely reading the news. They attend events and activities by the local branch of an Islamic political party (there can be many) and work with it for a good cause. By evening they spend time with their family, check on the neighbours and friends, invite them to pray at the mosque – they give charity and Zakah. They read a book, maybe one day on advanced fiqh, maybe another day on Quantum Physics, and another on Regulatory practices for bi-metallic currencies. They sleep, then wake for Dhikr, Tahajjud, rest, then pray Fajr, until another day begins anew. This is what the famous classical scholars of Islam did, like Imam Abu Hanifa, for example, was a successful businessman, distinguished Jurist, who was actively involved in politics of his time. Which group does all these things? There is only one who collectively does – the Muslim Ummah. To this group we all should place first affiliation to, allegiance to, and join and invite others towards. We may then all specialise within it, for the greater good of all, towards the more pressing obligation of the time. IS IT WRONG FOR MUSLIMS TO STUDY WESTERN CIVILISATION? Shukran for this Brother Abdullah. May Allah increase you in goodness and virtue. Indeed this is a major ‘internal problem within our Ummah. It goes side by side with the loss of Adab – people not understanding their proper role and place in society. The chief characteristic symptom of loss of Adab is the process of “levelling” the levelling of everyone, in mind and attitude, to the same level as the leveller. This was so refreshing to read sunhanAllah. This article came at a time where I was pondering on matters covered in this post. JazaakAllahu khayran! May Allah عز و جل reward you immensely.